The Key West cosmos has a funny way of wangling to make magic happen. 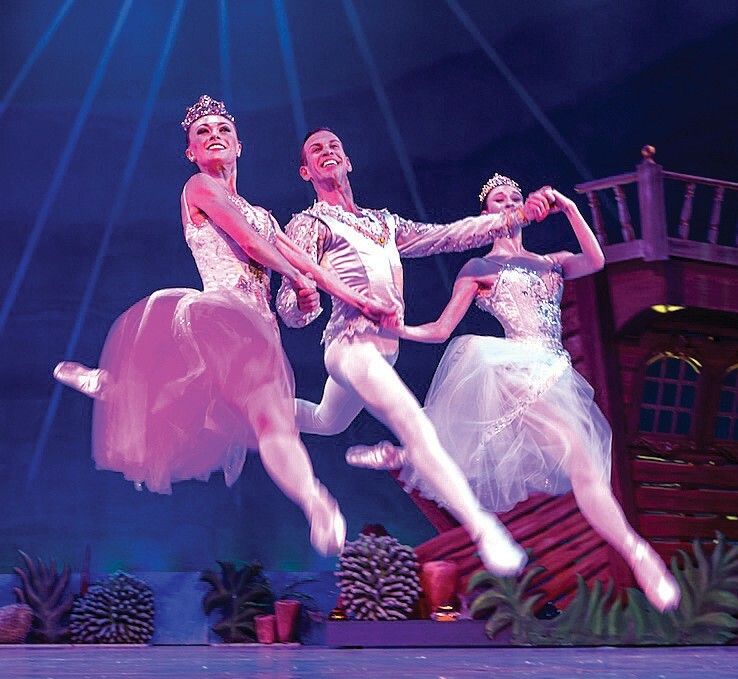 And when it comes to the “Key West Nutcracker,” the beloved ballet already so imbued with holiday enchantment, the island has outdone itself year after year (since 2005, in fact) in the face of natural disaster, human error and flat-out unfortunate events to ensure that the show does, in fact, go on. “I think the world is actually conspiring to mount this production,” muses Joyce Stahl, the lithe creator of the “Key West Nutcracker,” who retired from professional dancing decades ago, yet remains whippet-thin and as flexible as the rubber-jointed youngsters she’s been training since September. Stahl landed (on pointe, one assumes) in Key West in 2001, joining a community of energetic, likeminded art patrons who chose rebirth over retirement. After a strenuous 38-year career spent dancing with The American Repertory Ballet — including annual performances of the holiday crowd-pleaser “The Nutcracker” — Stahl would have been forgiven if she’d chosen to hang up her toe shoes in exchange for flip-flops and a quieter life. But after three years without Clara and her merry band of dancing mice, snowflakes and angels, Stahl says she missed it. Missed the costumes, the music, the choreography — and so, she struck up a conversation with her daughter about what a “Nutcracker” ballet in Key West might look like. It would have to incorporate the ocean, of course. And perhaps the mice could be replaced with chickens? Lead by a rooster king instead of a rat! What if the nutcracker was a Conch? What if Clara and her prince – no, wait! A Navy ensign! – sail in a boat that takes them to the coral reef? What if the entire second act takes place underwater? What if there are tiny children playing acrobatic shrimp, boomeranging their way around the stage like an underwater pinball machine? A million dollars and change later, the Key West Nutcracker was born, with all its aquatic-themed substitutions written and designed by Stahl. Also, different? No Balanchine, for starters. “It puts people to sleep.” The first act was to be lively, frenetic, with choreography seen nowhere else but the Kennedy Center. There would be flying diving bells, bioluminescent tutus, and snowy egrets; each traditional element was to be subbed out for a Key West equivalent, without exception. The Palace of Sweets? It’s now the salt flats. 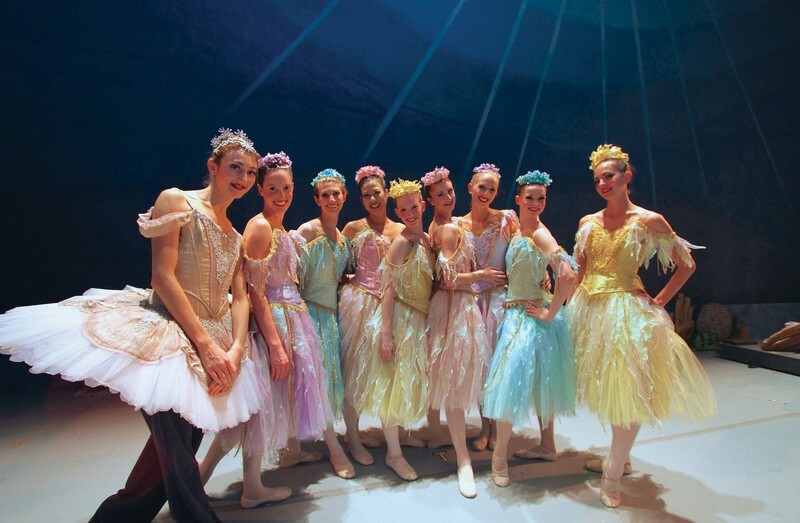 What to do about the ballet’s beloved snow scene? Easy: turn the falling flakes into moon dust blanketing a tropical nighttime water scene. Their first performance was scheduled for 2005. Stahl, stepping off the stage and into her new role as producer, had pulled out all the stops. “The planets aligned,” she says, reminiscing how the show wound up with Broadwayquality costumes – of which Stahl is inordinately proud – instead of the usual volunteer-sewn handiwork common to small town productions. “The Academy Award-winning costume designer for the movie Titanic fell in love with my housepainter,” she says nonchalantly, as though these things happen every day (we too were disappointed to learn that no, they do not). It was meant to be. Tiered skirts of silk and lace, hand-sewn sequin fish scales and layers of tulle – “Just look at this exquisite velvet jacket!” she exclaims. Dancers were recruited from the local community (even including ponytailed local legend Gary the Carpenter), or when absolutely necessary flown in from abroad. Tens of thousands of dollars worth of stage sets were built, tickets were sold, excitement began to build. Throughout the process, Stahl and her group endured a record-breaking hurricane season, with wickedly powerful tropical storms making it near impossible for her dancers to get to rehearsal on time. And then, mere weeks before they were scheduled to open at the local theatre, disaster struck. A category five hurricane, whose name still conjures among locals haunting images of rippedoff roofs, floating cars and mandatory evacuations, arrived to pummel the island: Wilma. It was mayhem; the island was evacuated, the road blockaded. In the aftermath, millions of dollars worth of damages to homes and personal property were tallied up, including the stage on which the Key West Nutcracker had been scheduled to perform. The ballet’s creation, which had morphed from a tale of audacity to one of Greek tragedy-level drama, inspired a local filmmaker to turn the entire ordeal into an award-winning documentary called Underwater: The Making of the Key West Nutcracker. In the end, the show must – and did – go on, with the local high school elected a suitable substitute for the waterlogged performing arts center. Stahl shakes her head when remembering the expense of moving the stage sets across town. The island hasn’t seen another category five hurricane since. The chance to dance alongside some of the ballet world’s best and brightest (no exaggeration: this year’s Nutcracker danced formerly with the Cuban National Ballet) isn’t just exciting for local kids; spread throughout a cast of about 80 are some of Key West’s most esteemed adult citizens. Stahl rattles off a list of names, a veritable who’s who of the local community. Most aren’t dancers by any means, and many are professionals who, one might assume, would balk at putting on a pair of tights and standing in front of an auditorium packed to the rafters; Key West does love its nonprofits, but local big shots tend to want to show their love by way of donations and appearances at charity auctions, not ballet performances. Stahl pulls up a video of 2014’s show and begins pointing out the various bit characters; it’s as if she’s reading from a rolodex of Key West personalities and local business owners. As they strut and sashay across the stage at the Tennessee Williams theatre, none look as though they’re doing it for a good cause – they look like they’re doing it because it’s fun. She stretches out her limbs, then deadpans: “If you’re intelligent, you want to be in a ballet.” That may be true, but after seeing what Stahl has planned for this year’s Key West Nutcracker, one thing’s for sure: if you’re intelligent, you’ll certainly want to see this one.